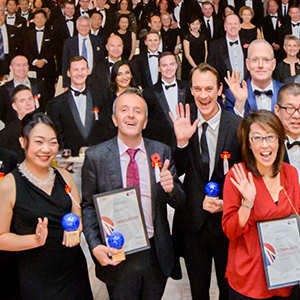 The British Chamber of Commerce in Japan (BCCJ) celebrated 70 years of business excellence at the British Business Awards (BBA) ceremony on 2 November. The record-setting gala event, feted as A Tradition of Innovation, was the biggest occasion in the chamber’s long and storied history. Held in the Grand Ballroom at the Grand Hyatt Tokyo, this year’s BBA opened with a stunning video that used state-of-the-art projection mapping to bring the entire ballroom to life. The spectacular light show ensured that this would be the most dazzling event in the BCCJ’s seven decades of promoting business ties between Japan and the UK. There were 33 nominees across five categories, and Cambridge-based biopharma­ceutical firm AstraZeneca K.K. capped the night by taking the much-coveted Company of the Year honours. The evening began with a cocktail reception and an artisanal gin bar operated by headline sponsor KI NO BI Kyoto Dry Gin. Founded by David Croll, The Kyoto Distillery produces Japan’s first artisan gin and has won a number of awards, including the Contemporary Gin Trophy at the 2018 International Wine & Spirits Competition at the Guildhall, London. 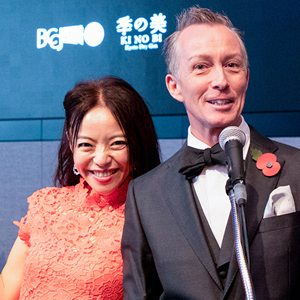 To kick off the BBA, many of the 400 guests enjoyed a classic gin and tonic or—for a more Japanese flavour—a gin-and-green-tea tipple while award nominees attached their rosettes and had their photos taken by in-kind sponsor LIFE.14 inc. The ballroom opened to the sounds of “classics with a twist”, performed by the string musicians of Quartet Cremo, until Guy Perryman MBE and Madoka Kato—once again serving as masters of ceremonies—encouraged guests to take their seats. In his opening speech, BCCJ President David Bickle underlined that 2018 has been a difficult year for many in Japan, with thousands impacted by natural disasters in Hokkaido and in western parts of the country. “Affected communities are resilient, though, and we should feel humbled by their fortitude and remember the collective role of businesses in supporting them”, he said. “We have a responsi­bility to our customers, clients and colleagues, for they form the communities of which we—as businesses—are privileged to be a part”. 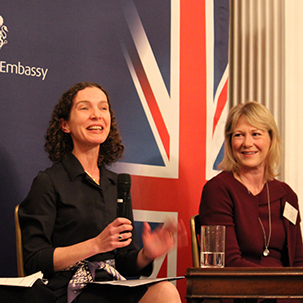 Bickle went on to emphasise the sincerity that has marked the relationship between the UK and Japan, saying that this genuine feeling has created trust. “Britain is proud of the trust that underpins our business relationship with Japan and the fact that it is grounded in 400 years of shared trading history”, he said. “BCCJ members have worked hard for the past 70 of those years to nurture the relationship through the work of a chamber of commerce”, he added. “And we, tonight, in this 11th year of the British Business Awards, have a role as stewards of that relationship. “We, together, have an obligation and an opportunity to see that relationship flourish”. After the president’s kampai toast, a five-course Great British menu was served. The Hokkaido scallops, leek and cabbage, accompanied by autumn vegetables, black garlic and ice-plant salad was followed by a sublime pea and ham soup with truffle croutons. The raspberry and rose sherbet prepared palates for the Angus beef rib braised in cider and thyme alongside traditional bubble and squeak with green asparagus spears. Welsh cake and vanilla mousse with crumble, caramel ice cream and marinated berries jubilee followed to cap off a delectable meal. The food was paired with red, white and sparkling wines—including a 2013 Brut Reserve from the Gusbourne Estate in Kent, a 2016 White Burgundy from the Bourgogne and a 2014 Extra Ordinary Claret from Graves­—from in-kind sponsor Berry Bros. & Rudd. After the meal, Ambassador to Japan Paul Madden CMG introduced the most anticipated part of the evening. “I am particularly pleased to be able to be here as the chamber celebrates its 70th anniversary, which, as we all know, is just middle-age in Japan. Seventy is the prime of your life. Even if the knees may creak a little, you forget names and have to get up in the night to go to the loo. “This has been a very busy year in Britain–Japan relations”, he said, particularly given the security and geo-political issues in the region. He noted that no fewer than three Royal Navy warships had paid port visits to Japan, while members of the British Army had taken part in joint exercises with their Japanese counterparts. “We have also had a number of ministers come through to reassure Japan of our intentions after Brexit”. Underlining the burgeoning relationship between the two nations, he said, is the fact that UK goods exports to Japan are up a very healthy 22% for the 2017–18 financial year. The UK is also looking at new trade deals, including possibly joining the Comprehensive and Progressive Agreement for Trans-Pacific Partnership trade pact with Japan and 10 other nations, while the ambassador said he hopes that Japanese Prime Minister Shinzo Abe will go ahead with a visit to London before the end of the year. He added that the awards ceremony fell exactly one year to the day before the final match of the 2019 Rugby World Cup is scheduled to be played in Yokohama and expressed hope that Japan might be in the final—playing against one of the British teams. 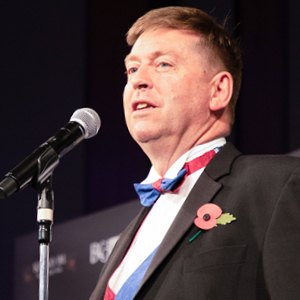 Before announcing the BBA winners, the ambassador said that everyone nominated for one of the evening’s awards should feel a sense of pride in their achievement. 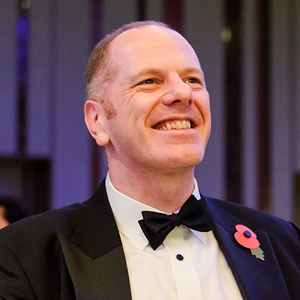 “Indeed, everybody associated with the British business community here in Japan can be very proud”. The winners in each category were chosen by a panel of six judges (see left) drawn from business, academia, sport and government. Each winner received a beautiful marble trophy by Kate Thomson, the Scottish-born artist who set up the Ukishima Sculpture Studio in Iwate Prefecture. She and her partner were among those present. BCCJ Executive Director Lori Henderson MBE also confirmed that the adjudication was so tight this year that the judges were required to re-examine one category when their initial choices resulted in a tie. The first award was for Social Environmental Contribution and was won by ESR Ltd., which operates a number of community-based initiatives to enhance the workplace environment and bring women back to work. Under its Human Centric Design, the organisation has this year driven sustainability and green energy projects, as well as building rest and recreation areas, such as Barnklubb free daycare centres, for staff and local residents. The second award of the evening was for Entrepreneur of the Year and went to Noriko Sawayama, president of The Business Associates of British Interior Design. Sawayama introduced to Japan the BIID standard, which treats interior design as a distinct profession covering elements such as architecture, interior design, art direction and finishing touches. The firm is also creating exciting new properties in Japan, such as a British bakery in Tokyo called Whimsy. The next award was UK–Japan Partnership, and Japan House London & Partners accepted the honours less than five months after Japan House London (JHL) opened on Kensington High Street, where it has quickly established itself as the new cultural home of Japan in London. The JHL corporate members scheme has attracted no fewer than 34 partners—including 32 from Japan’s private sector—and is already building lasting partnerships between the UK and Japan. The award for Diversity and Inclusion went to GlaxoSmithKline K.K. for its campaign to create an inclusive workplace that attracts and retains the most talented people from all backgrounds and cultures. In Japan, the firm has focused on building a vibrant organisation in which all employees feel inspired, engaged and valued for their respective contributions. A total of six firms were in the running for the final award of the evening—Company of the Year—with AstraZeneca fighting off stiff competition to take the honour. The biopharmaceutical firm has, in the past year, pushed the boundaries of science to deliver a record seven new treatments to market, providing doctors with revolutionary tools with which to combat diseases such as cancer, asthma and acid reflux. AstraZeneca also provides genetic tests for patients to ensure they receive the best and most appropriate medications. Stefan Woxström, president of the firm’s Japan operations, accepted the award and said he was “humbled” at the chamber’s recognition of his firm’s achievements. 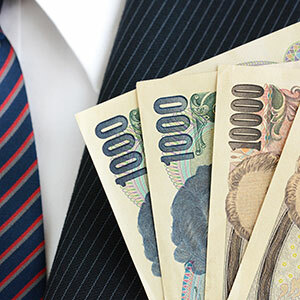 He added that the award was also a recognition of the hard work of his staff, who had, in some cases, reduced the amount of time it takes to earn regulatory approval from Japanese authorities from the usual two weeks to just 24 hours. And that is critical, Woxström said, “to patients for whom every day counts”. The evening continued with the now-traditional game of heads-and-tails, the winner of which earned two round-trip tickets to London in British Airways’ Club World business class. To close out an incredible night celebrating the best of the UK in Japan, The Clover, an all-girl Beatles tribute band comprising Momo (guitar), Sherry (bass) and Yuko (drums), took guests on a musical journey across the business universe that stretched all the way to the foyer of the ballroom—for a nijikai after-party that lasted until midnight. • Robert Walters Japan K.K. It has been a milestone year for AstraZeneca in Japan. By pushing the boundaries of science, they this year delivered a record seven new treatments to market. These have provided doctors with revolutionary tools to tackle diseases including cancer, asthma, and acid reflux. They also offer genetic tests that ensure the best medicines are prescribed to suit patient DNA. GSK has created an inclusive workplace to attract and retain the most talented people from all backgrounds and cultures. In Japan, they are focused on building a vibrant organisation where all employees feel inspired, engaged and valued for their respective contributions. As well as supporting women in the workforce, the company has fostered an environment which welcomes different knowledge, perspectives, experiences and working styles. 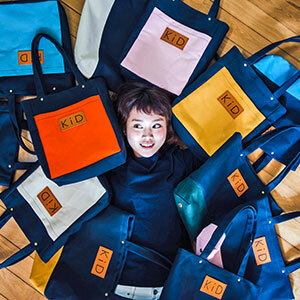 Noriko is revolutionizing the interior design world in Japan by introducing the BIID (British Institute of Interior Design) standard, which treats interior design as a distinct profession involving elements such as architectural design, space planning, art direction, decoration and finishing touches. This is a new concept in Japan, bridging the gap between the traditional roles of architect and interior coordinator. The Business Associates of British Interior Design (BABID) is creating exciting new properties, including a British bakery in Tokyo called Whimsy. The firm’s community initiatives include enhancing the workplace environment and bringing women back to work. This year, led by “Human Centric Design”, they’ve driven sustainability and green energy projects as well as built high-quality recreation and rest areas, such as Barnklubb free daycare centres and Klubblounge, for staff and local people. Opened on Kensington High Street on 22 June, 2018, it has quickly established itself as the new cultural home of Japan in London. JHL’s Corporate Members scheme has attracted 34 partners—32 from Japan’s private sector—building lasting partnerships between the UK and Japan.